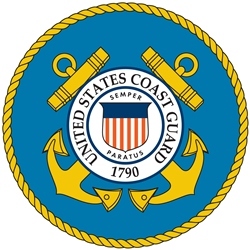 The U.S. Coast Guard is one of the military services for the United States; law enforcement for the waterways, lakes, rivers, coastal waters, and high seas. Boating safety is their top priority. On any given day, the USCG around the country gets called out. And whether it is to intercept more than a ton of cocaine, or rescuing a family hanging on the side of their overturned boat off the coast of Miami, the USCG is here to protect, keep Americans safe and secure. Besides being the law enforcement agency on the water, the USCG is here to promote boating safety, keeping you and your family safe while enjoying your day on the water. Even if you find yourself being “pulled over” by the USCG, you can bet it is for good reason and you will be better off and safer for it. 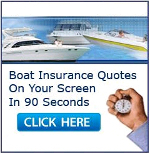 Their objective is to keep you – the boater – your family, friends and investment safe. Utilizing all the USCG has to give to make the time you spend on the water safe and fun, is their job and like your boat insurance company, they want what is best for you.